Adjustable "clamshell" style ear protectors. 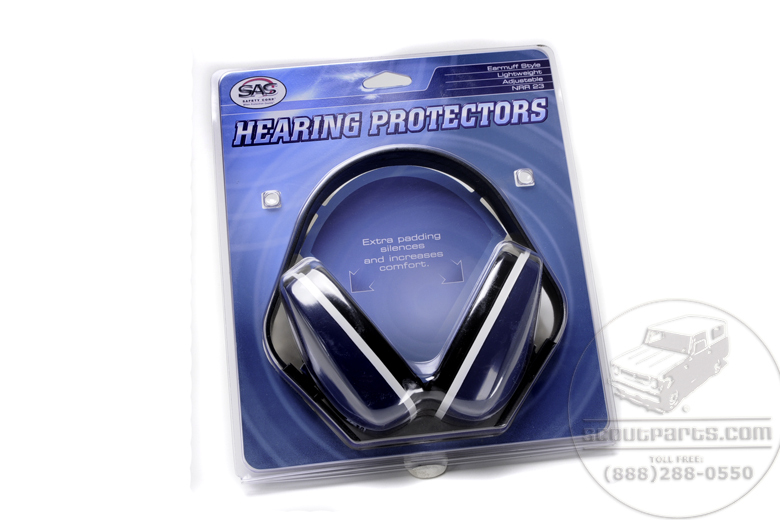 Lightweight protection for your ears, can be worn under the chin, over the head or the behind the head. Noise reduction rating of 23 decibles.